Belarusian President Alexander Lukashenko took part in an informal CIS summit in Moscow on February 22, BelTA learnt from the presidential press service. The informal summit had been initiated by President of Russia Vladimir Putin. The CIS heads of state exchanged opinions on the urgent issues related to the further cooperation within the framework of the CIS. According to Belarusian experts, at present Belarus shows a special interest in cooperation with the CIS member states in developing the market of international transportation services and in the area of foodstuffs supply. The integration cooperation within the framework of the Commonwealth of Independent States has great prospects, but it’s only in case this cooperation comes in the form of concrete actions. There are no alternatives to the Commonwealth in the region of the former Soviet Union, said the President of the Republic of Belarus, Alexander Lukashenko, at the informal CIS summit in Moscow, the presidential press-service told BelTA. The informal meeting of the presidents of the CIS member states took place on 22 February in Moscow on the initiative of the President of the Russian Federation, Vladimir Putin. The CIS leaders exchanged their opinions on a wide range of issues representing mutual interest. The heads of state focused mainly on cooperation within the Commonwealth, and considered such topics as expansion mutual contacts in the spheres of transport, humanitarian cooperation, commerce and science. The Belarusian side praised the way in which the Concept of Further Development of the CIS was implemented. This concept was adopted at the CIS summit in Dushanbe in October 2007. In pursuance of this concept, task forces were appointed, who started to work on the strategy for economic development of the Commonwealth and strategies for enhancing the food security of the CIS member states. Currently, specialists are discussing the draft legislation relating to the chairmanship of the CIS, and to national coordinators. Belarus expressed the confidence that the implementation of the Dushanbe agreements would allow the CIS to achieve a lot in the short term. In an informal conversation, Alexander Lukashenko mentioned the details of his recent meeting with the President of Russia, Vladimir Putin, in Sochi. During that meeting, Vladimir Putin said the CIS remained one of Russia’s priorities. “This organisation [the CIS] is a platform that makes it possible to address various issues, including those we’ve inherited from the past,” the Russian President said. “We wouldn’t have created such an atmosphere without joint efforts and political will,” he added. One of the priority issues on the CIS agenda is to develop an economic development strategy for the Commonwealth. “When preparing this document, it’s necessary to find the points where we have joint priorities and interests,” said Vladimir Putin. The meeting touched upon the migration problem which is urgent for all CIS member states, and on cooperation in the humanitarian field and in human capital development. President of Russia Vladimir Putin thanked his counterparts for their cooperation. “My term in office is nearing completion. Although we really have quite a lot of problems in the CIS, we have managed to avoid the worsening of the problems where they could turn worse. We have always sought mutually acceptable solutions,” Vladimir Putin said addressing the CIS heads of state. Attending the meeting was First Vice-Premier of Russia Dmitry Medvedev. Vladimir Putin introduced Dmitry Medvedev to the participants of the summit as one of the candidates for the presidency. The Russian leader said that if Dmitry Medvedev is elected President of Russia, no revolutionary changes will occur in the foreign policy of the Russian Federation as regards the CIS. Dmitry Medvedev thanked the presidents for the opportunity to attend the summit. “In case the outcome of the election is successful for me, I hope to see the continuation of business-like relations based on trust and to establish good personal relations,” Dmitry Medvedev said. It is worth mentioning that recently the CIS experienced a period of crisis and in many things it was due to the efforts of Belarus, which strongly advocated the preservation and further development of the CIS, that the crisis was overcome. The statements made at the informal summit prove that the position of Belarus, which this country has been demonstrating for the past several years, has been the right one. The Belarusian initiatives, which were very specific and concrete, were supported and today they are being carried into execution. On February 21, two parliamentary commissions of the Belarusian National Assembly adopted a statement relating to Kosovo unilateral proclamation of independence, BelTA learnt from the press service of the House of Representatives. The Permanent Commission on International Affairs and National Security of the Council of Republic and the Permanent Commission on International Affairs and Ties with CIS of the House of Representatives were deeply concerned over the secession of Kosovo from Serbia, the document says. According to Belarusian parliamentarians, the events in Kosovo destabilize the situation in the Balkans and have a direct influence on the international stability. Kosovo sets a precedent for similar crisis situations in other countries. The statement condemns the decision of the Kosovo authorities and appeals to parliaments of the world to announce the declaration on independence as invalid. The Belarusian parliamentarians urge strict implementation of the UN Security Council’s resolutions by all political forces of Kosovo, European and international communities, resumption of negotiations between Belgrade and Pristina with possible involvement of international intermediaries. In a related BelTA story, The deployment of missile defense system in Poland and the Czech Republic will destroy the balance of military forces in the region, Defence Minister of Belarus Colonel-General Leonid Maltsev told a press conference in Minsk on February 21. “The most dangerous thing is that they will destroy the balance which has been created by the most strenuous efforts, including by means of signing various international treaties,” he said. “Now the balance is being slowly destroyed,” he added. Leonid Maltsev said that the deployment of missile defense in Poland and the Czech Republic should be carried out in line with international agreements. The necessity to set up a Belarus-Russia united air defense system is obvious, Head of the General Staff of the Belarusian Armed Forces – First Deputy Defense Minister Lieutenant General Sergei Gurulev told BelTA. The military departments of both the states are actively working in this area, Sergei Gurulev noted. “First of all, the united air defense system is needed as the two countries have been strengthening integration within the framework of the Union State as well. In the second place it is necessitated by the ongoing tendencies in the military and political situation in the world and in the neighboring regions. In the third place, it is connected with the increasing role of the air defense in prevention of possible aggression,” the Head of the General Staff said. The agreement is being examined and will be signed after corresponding authorities are granted, the official noted. Alexander Lukashenko does not deny that he would like to play a certain role in the future leadership of the Union of Belarus and Russia. When asked by TV channel Russia Today and RIA Novosti whether he would like to be at the head of the Union State, Alexander Lukashenko stressed ”My answer will be very straightforward and honest: we have created some kind of alliance, for example, the Union, something we are aspiring to, and it will have supranational bodies. Do you really think that only Russian leaders have ambitions to lead this Union?” BelTA learnt from the press service of the Belarusian leader. “I would not be much of a politician, neither would Putin or Medvedev or anyone else, if I did not want to play a certain part in the Union leadership”, the President added. Many problems between Moscow and Minsk are rooted in the fact that many Russian politicians do not like the increased popularity of the Belarusian President among Russians, Alexander Lukashenko said in the interview with Russia Today TV channel and RIA Novosti news agency, BelTA learnt from the press service of the President. At the same time the Belarusian President denied that he had any ambitions to be among the Russian leadership. “As to the legend that emerged when Boris Yeltsin was still in power, that Lukashenko wants to grab Monomakh’s Cap and bring it to Minsk, it is totally ludicrous. At the time of intimidation and emotions running high around Boris Nikolayevich and other people, this opinion took roots, though now it is being talked about less. It is impossible from the legal point of view”, the President stated. Alexander Lukashenko stressed that Belarus did not change anything in its foreign policy. “We should get along well both with Russia and Europe. Unlike some countries, we are not playing with the United States or Europe, promising that we will join the NATO, and their tanks will be stationed by Smolensk. We can never afford anything like that. Lukashenko remains to be a pro-Russian politician”, the President added. “Russia should remain the core of the Commonwealth of Independent States”, Alexander Lukashenko said in the interview to the TV channel Russia Today and RIA Novosti, BelTA learnt from the press service of the Belarusian leader. “Russia was and will be the center around which our union is being formed or is supposed to be formed”, Alexander Lukashenko stressed. He also expressed conviction that this policy be continued by a new President of Russia. Another thing is, according to Alexander Lukashenko, how Russia is going to achieve that. The president also said that the results of the 16-year work of the CIS will be summed up at the forthcoming CIS informal summit that would be held in Moscow. “Probably, we do not have so many great achievements, but there are certainly some we can be proud of”, Alexander Lukashenko said. Here he noted that they did not plan to discuss any comprehensive issues some countries are worried about, including the problems of the Union construction. On February 19, 2008 Belagroprombank signed a facility agreement on a $40mn syndicated loan, BelTA learned from the Bank. The Mandated Lead Arrangers (MLAs) were Commerzbank AG (Germany), Banco Finantia S.A. (Portugal) and Italian banking group UniCredit Group. Commerzbank International S.A. (Luxemburg) acts as Facility Agent for the transaction. The initial amount of the loan was $20mln. Considering the unfavourable conditions on the international financial market, the deal depended on several factors. 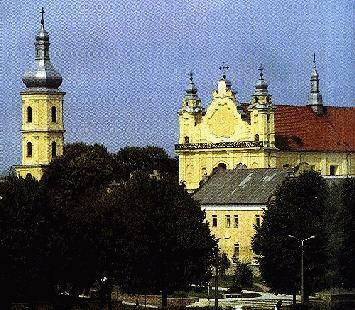 The success was due to the flawless reputation of Belagroprombank as one Belarus' major banks and professionalism and high status of the MLAs. The MLAs noted significant interest to the deal shown by the investors from all over the world. As a result the loan was well oversubscribed, reaching $40 million. Twelve leading financial institutions from Europe, Asia and Africa took part in the syndication. The term of the loan is 364 days with a 364-day extension option. The margin is remarkably low for Belarus at 3.1% p.a., especially considering the unfavourable and unstable situation on the international financial market. Belagroprombank has once again confirmed its status as one of Belarus’ leading banks in terms of international fund-raising. This syndicated loan is the first significant international transaction for Belarusian banks in 2008. In January 2008, the investments in the fixed assets and construction in Belarus made up Br1, 468 trillion, or 2.9% down in comparable prices from the same period last year, BelTA learnt in the Ministry of Statistics and Analysis. According to the Ministry, in January this year, construction companies fulfilled building and assembling works at the amount of Br653, 2 billion, or 0.3% up on the same period last year. In the period under review, the total investments in manufacturing facilities made up Br912, 2 billion, or 8.5% down on the same period last year. The investments in non-manufacturing facilities totaled Br556, 4 billion, 8.5% up. Expenses for purchasing machines, equipment and transport vehicles made up Br627, 5 billion, or 92.1% as against January 2007. The share of the expenses in the total investments reached 42.7% (in January 2007 – 48.2%). According to the Ministry of Statistics and Analysis, in January 2008, the state-run companies invested Br716, 6 billion in the fixed assets (0.8% up as against January 2007). In January this year, the main sources of the investments were the assets of companies (Br680, 3 billion), budget funds (Br329 billion), bank loans (Br250 billion), individuals’ funds (Br172 billion). Belarus is interested in the joint efforts of the CIS member states on the setting up of the transportation and logistics infrastructure that provides an efficient supply of the CIS goods to the international markets, BelTA learnt from the Administration of the President of Belarus. At the suggestion of Kyrgyzstan, transportation was identified as a key issue on the agenda of the Commonwealth for 2008. Belarusian experts believe that a number of measures should be taken to make international transit of goods across the CIS more attractive, competitive and profitable. According to the Presidential Administration, the CIS member states suffer great losses because of the poorly organized market of the international transportation services in the CIS, in particular, the transit services. The main goal of the Concept of the CIS further development established on October 5, 2007 is to expand the cooperation in the area of transportation, including the creation of international transport corridors, to raise the efficiency of tariff policy as well as the cooperation between various kinds of transport. Among the practical measures are the implementation of the Concept of the agreed transport policy for the period till 2010 and the Concept of the agreed tariff policy for the railway transport, the Memorandum of the CIS cooperation in the area of international transport corridors. Belarus said on Thursday that the United States' shooting-down of a out-of-control spy satellite was a test of space weapon, according to reports reaching here. A single modified tactical Standard Missile-3 (SM-3), launched from U.S. Navy AEGIS warship, the USS Lake Erie (CG-70), hit the satellite some 247 kilometers over the Pacific Ocean at 10:26 p.m. EST Wednesday (0326 GMT Thursday), Pentagon said in a written statement midnight Wednesday. "A network of land-, air-, sea- and space-based sensors confirms that the U.S. military intercepted a non-functioning National Reconnaissance Office satellite which was in its final orbits before entering the earth's atmosphere," the Pentagon said. "The cruiser that launched the missile has participated in a number of missile tests, and here they have got a perfect opportunity to conduct a real launch," RIA news agency cited Belarus Defense Minister Leonid Maltsev as saying. The satellite, launched in Dec. 2006, lost power and its central computer failed almost immediately afterward, leaving it uncontrollable. Left alone, the satellite would be expected to hit earth during the first week of March. U.S. military and administration officials said the satellite is carrying fuel called hydrazine that could injure or even kill people who are near it when it hits the ground. Russia's Defense Ministry said on Thursday it would closely monitor the consequences of the operation. "We will study the results of this operation ... The satellite's trajectory was far from Russia and the Russian Federation was not threatened by the hit," said deputy Air Force commander Anatoly Nogovitsyn. Belarus is negotiating the purchase of advanced S-400 air defense systems from Russia, the country's defense minister said on Thursday. The S-400 Triumf (SA-21 Growler) is a new air defense missile system developed by the Almaz Central Design Bureau as an upgrade of the S-300 family. "The purchase of S-400 systems is being negotiated [with Russia]," Leonid Maltsev told a news conference in Minsk. Belarus submitted last year a formal request for two S-400 battalions to be made available by 2010. Almaz General Director Igor Ashurbeili previously said that S-400 production for export could start in 2009. Russia has already deployed an S-400 battalion to protect the air space around Moscow, and plans to put another battalion on combat duty in the same region in 2008. Russia has been reluctant so far to export its new air defense systems, but recent U.S. steps to deploy missile defense elements in Poland and the Czech Republic may convince the Russian leadership to share the advances in military technology with allies in the region. The Belarusian defense minister said that although it was a matter of a bilateral agreement between the U.S. and Poland, the placement of 10 U.S. missile interceptors in Europe undermined the balance of forces in the region. The S-400 is designed to intercept and destroy airborne targets at a distance of up to 400 kilometers (250 miles), or twice the range of the U.S. MIM-104 Patriot, and 2.5 times that of the S-300PMU-2. Belarusian journalist Alyaksandr Zdzvizhkou has been freed in the latest of several recent cases in which Western-designated political prisoners have been granted leniency, RFE/RL's Belarus Service reported. The former deputy editor in chief of the "Zhoda" newspaper confirmed his release in a telephone conversation with RFE/RL within hours of a closed-door meeting at which the Supreme Court shortened his sentence from three years to three months. "I was asked to leave my cell with all my belongings," Zdzvizhkou said. "I thought they might have decided to transport me to the [penal] colony. Later, it became clear that I was being processed for release." He added that rather than releasing him directly, authorities put him in a vehicle with tinted windows and, over his objections, drove him to a train station. Zdzvizhkou was sentenced on January 18 but had been in detention since his arrest in November. He complained that his incarceration had left his "hearing and sight deteriorated" and he had lost "half his teeth." He added that he was "feeling unwell" after his release and that "paramount for me now is to regain my health." Zdzvizhkou was convicted of "inciting racial, national, or religious enmity or discord" after his newspaper reprinted controversial cartoons of the Prophet Muhammad. 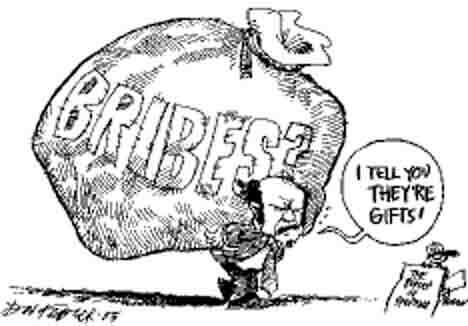 His former newspaper, "Zhoda," was ordered closed after the publication of those cartoons in 2006. Zdzvizhkou's lawyer, Maya Alyaksandrava, told RFE/RL that the Supreme Court made the decision based on the "extraordinary circumstances" of the case, but did not elaborate. "I had hoped for such a decision, but it was only a very slim hope," the journalist's mother, Hanna Zdzvizhkova, said upon hearing of his imminent release. Zdzvizhkou is one of several Belarusians considered to be political prisoners by Western governments and human rights groups. In recent weeks, at least four such prisoners of conscience have unexpectedly been set free by court rulings or extraordinary decrees by President Alyaksandr Lukashenka. Opposition leader and former lawmaker Andrey Klimau was released from prison on February 15 after a presidential decree, which he said came as a "complete surprise." He had been serving a two-year jail term that started in August for insulting the president and calling for revolution in an article posted on the Internet. Two student activists, Artur Finkevich and Zmitser Dashkevich, both leaders of the Youth Front opposition movement, have also been released from prison or "light confinement" in detention facilities since the beginning of the year. Jan Maksymiuk, the acting director of RFE/RL's Belarus Service, said Lukashenka looks to be responding to the European Union's demand that Belarus release political prisoners if it wants dialogue with the West. "Everything depends on one man in Belarus," Maksymiuk said. The release of political prisoners has been at the top of the EU's list of conditions for Belarus to meet before it can expect improved relations with the bloc. The Supreme Court's decision to release Zdzvizhkou came one day after the European Parliament on February 21 unanimously adopted a resolution calling on the Belarusian authorities to release Zdzvizhkou and another political prisoner, former presidential candidate Alyaksandr Kazulin. Kazulin is currently serving a 5 1/2-year prison term for organizing antigovernment demonstrations in the wake of the 2006 presidential election, . Zdzvizhkou is the head of the Belarusian Social Democratic Party, or Hramada, the body that founded the "Zhoda" newspaper. The European Parliament resolution has welcomed the recent releases but condemns new measures taken against opposition activists who have participated in peaceful demonstrations, some of whom have been jailed or expelled from university in recent weeks. Ex-Soviet Belarus appeared to soften its position on NATO's eastward expansion on Thursday when its defence minister said he saw no threat from the alliance. President Alexander Lukashenko, a fierce critic of U.S. foreign policy, has long said NATO's two recent waves of expansion to include adjacent Poland, Latvia and Lithuania threatened Belarus's security. But Defence Minister Leonid Maltsev said he believed the proximity of the alliance posed no military threat to the country of 10 million. "No one is saying there is a military threat. There is no military threat. Our military doctrine lists no one as a likely enemy for Belarus," Maltsev, quoted by local media, told a news conference. "If we are talking about a military danger, this has risen, of course. The task to be undertaken by any state is to do everything to ensure it does not turn into a military threat." Maltsev restated Belarus's objection to the proposed deployment of a U.S. missile defence shield in eastern Europe. He said it would "destroy a balance created through such tenacious efforts". Belarus has offered to work together with its traditional ally Russia to counter the proposed system. Russia objects to any notion of ex-Soviet states like Ukraine and Georgia joining NATO. It has said it would have to take "appropriate measures" or even redirect its missiles if those countries hosted the U.S. system. After Lukashenko quarrelled last year with Russia over energy prices, Belarus called for improved ties with the West, which demanded in exchange changes in what it regards as a poor human rights record. In recent months, Belarussian courts have ordered the early release of several opposition activists described in the West as political prisoners. The president has toned down criticism of the European Union which has cautiously praised Minsk for the release of detainees and restraint in dealing with opposition rallies. Defense Minister Leanid Maltsaw suggested that Belarus' criticism of the United States' plans to extend its missile defense system to Poland is predictable. "Any normal state will resist an increasing level of a military danger at its border," Mr. Maltsaw said at a news conference in Minsk on Thursday. He said that Minsk's attitude to the US plans is "naturally negative." "But after all, it is an internal affair of Poland and the USA," he said. Mr. Maltsaw said that international commitments should prevail in the matter. "I think that the most dangerous thing is that the balance, whatever good or bad, has been established with very hard efforts when a series of agreements were signed. The balance is being violated at present. And it is very dangerous, and dangerous for all states," he said. He said that "every necessary step" is taken to ensure security in both Belarus and Russia. Life in the former Soviet republic of Belarus can test the creativity of non-conformists in the arts. Independent-minded actors and writers say they have to walk a fine line between pleasing censors in officially approved theatre and organizing performances covertly, using elaborate ploys to avoid detection. The Belarus Free Theatre is one such group, using private apartments and wooded areas around Minsk to which audiences are invited via furtive text messages and phone calls on the day. Yet this month the group is advertising openly and drawing full houses for two plays at London's Soho Theatre. Founded by Natalia Koliada and her husband Nikolai Khalezin in 2005, the group hopes to use clandestine theatre to change what it sees as the stifling hardline atmosphere created by veteran President Alexander Lukashenko. Lukashenko is accused of crushing freedom of speech and assembly. He is barred from the United States and the European Union, which say he rigged his re-election for a third term in 2006. "Because of the total control on media you cannot write or broadcast anything, so the only thing was to write plays," Koliada told Reuters. "The idea was to change the situation by way of the arts." Most of the 23 members of the Belarus Free Theatre trained in the national theatre, but were forced out after joining the independent group, and many have since been arrested. Two members still working in state theatre were barred from traveling to Britain for the London dates. The group does not have a wide audience in Belarus. In some cases, performers outnumber the audience. However, the group's production of "Being Harold Pinter" in London is selling out and impressing the critics. The play mixes the British playwright's taped acceptance speech for the 2005 Nobel Peace Prize, excerpts from his plays and letters from Belarussian opposition activists who have run into trouble with the authorities. The Free Theatre is supported by several Western dramatists, including Pinter who allows it to perform his work without charging a fee, and Tom Stoppard who decided to visit Belarus after receiving a letter from the group. "We don't talk about politics, we talk about morality," Khalezin said, speaking through a translator. "We do not stage political performances, but we always say there is a dictatorship, there are political prisoners, there are kidnappings and murders. We say everything we think," Koliada said. The "dictator" refers to Lukashenko, who, since coming to power in 1994 has consolidated control over all aspects of public life. Lukashenko remains broadly popular, especially outside the capital, by exercising control over the economy, propping up wages and maintaining state subsidies. He says he has spared his 10 million compatriots the turmoil of other ex-Soviet states. Russia's ambassador to Nato, Dmitry Rogozin, has warned that Russia could use military force if the Kosovo independence dispute escalates. "If the EU develops a unified position or if Nato exceeds its mandate set by the UN, then these organisations will be in conflict with the UN," he said. In that case Russia would "proceed on the basis that in order to be respected we need to use brute force", he said. Many EU members have recognised Kosovo, but several oppose recognition. Russia, a permanent member of the UN Security Council, backs Serbia, which has condemned the independence declaration issued by the Kosovo parliament on 17 February. On Tuesday members of the Serb minority in Kosovo attacked two border posts staffed by UN personnel and Kosovo police. 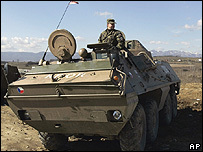 The violence led the Nato troops in Kosovo - known as K-For - to reinforce the border with Serbia. Kosovo's majority ethnic Albanians are following a plan drawn up by UN special envoy Martti Ahtisaari for "supervised independence", which was rejected by Serbia. The EU will soon deploy 2,000 officials to strengthen law and order in Kosovo, which has a population of about two million. Russia argues that the mission has no legal basis. There has been a furious reaction in some Russian media to Kosovo's declaration of independence. A commentary in the Vesti Plus analytical programme, on state-run television, called the assassinated former Serbian Prime Minister, Zoran Djindjic, a Western puppet who had "received a well-deserved bullet". It said Djindjic had sold national heroes to the International War Crimes Tribunal in The Hague. The programme concluded that Serbia - and not only Serbia - must now decide whether to acquiesce in what has happened, or resist. Kosovo: To recognise or not to recognise? Kosovo's new flag: how widely will it be recognised? The declaration of independence by Kosovo has provoked a worldwide debate about the merits of recognising it as a state. Several governments with breakaway movements of their own are refusing to do so. They are anxious about setting a precedent and argue against recognition on the grounds that there was no agreement between Serbia and Kosovo and no clear UN Security Council mandate. 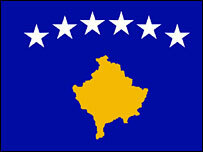 Others have endorsed the declaration as a unique and justified move for freedom and the inevitable outcome to Kosovo's history, in which Serb troops were forced out after Nato waged war in 1999 and the province was handed over to UN control. The numbers matter. There needs to be a critical mass of countries recognising Kosovo to enable it to develop and prosper. The United States, which made its own declaration of independence in 1776, and whose support for Kosovo has not been in doubt, led the way in recognising Kosovo. President Bush said: "The Kosovars are now independent." Several major European Union member states have also swung behind Kosovo, giving it powerful support. The EU as a whole has a key role in supervising the limited form of independence that a UN report recommended for Kosovo and which Kosovo has accepted. Britain, France, Germany and Italy all see the Kosovo move as a one-off and as the last piece of the old Yugoslav jigsaw being slotted into its new place. However, the EU, which has no common foreign policy except by agreement, is not unified. Cyprus, Romania and Slovakia are in the No camp. So is Spain, with its own separatist Basque movement. Foreign Minister Miguel Angel Moratinos said: "Spain is not going to recognise this unilateral declaration of independence... because it does not consider that this respects international law." Beyond the EU, Russia is opposing independence, as it always has, again arguing that such a move should depend on there being an agreement with Serbia first. "We are talking here of the disruption of all the basic fundamentals of international law in Europe, which is a result of years of suffering and wars and strife," said the Russian Foreign Minister Sergei Lavrov. Russia's Sergei Lavrov calls it a "disruption of fundamentals"
"It would undermine the basics of security in Europe... It would inevitably result in a chain reaction in many parts of the world, including Europe and elsewhere." One question is whether Russia will now more actively support the demands of two regions of Georgia for secession. South Ossetian leader Eduard Kokoyty said: "Both South Ossetia and Abkhazia have more political and legal grounds for their independence than Kosovo... we can clearly see a policy of double standards." China indicated its opposition, perhaps with Taiwan in mind. "China expresses its deep concern about Kosovo's unilateral declaration of independence," the Foreign Ministry spokesman Liu Jianchao said. Taiwan spoke in favour of Kosovo. "Our consistent position is that we want to develop relations with any free and democratic country," spokeswoman Phoebe Yeh said. To which the Chinese spokesman replied: "It is known to all that Taiwan, as a part of China, has no right and qualification at all to make the so-called recognition." Israel, with negotiations for a neighbouring state of Palestine ongoing, was cautious, refusing to give an immediate position. Israel itself declared its independence in 1948. Regions with aspirations of independence of their own are using the Kosovo declaration as a potential precedent for them. "I salute the independence of Kosovo. No people can be forced to live under the rule of another," said Mehmet Ali Talat, leader of the Turkish Cypriots. Kosovo is "a lesson in how to resolve conflicts of identity and membership, peacefully and democratically," said Miren Askarate, spokeswoman for the Basque regional government in northern Spain. The chairman of the breakaway Transdniester region of Moldova, Yevgeny Shevchuk, said: "We believe that a new era started and a new system of international relations was formed the moment part of a country, based on a series of historical developments, decided to live independently, and this country can gain recognition." leader of the so-called Tambov gang in St. Petersburg, Russia, has been arrested in connection with two contract killings, a source said. The unidentified source said Igor Kalinovsky, reportedly one of the Russian gang's top leaders, was arrested along with two other suspects for his alleged role in two apparent gang hits, the Interfax news agency reported Saturday. "Igor Kalinovsky, a native of the Gomel region (Belarus) and one of the leaders of the criminal community, has been arrested. He and two of his sidekicks have been charged with committing two contract killings," the source said. "In addition to contract killings, they have been charged with killing one of their accomplices." The source also said two other suspects in the 2000 and 2001 killings died in a 2004 car crash under unclear circumstances. A top Ukrainian official says the establishment of a joint venture between Ukraine's Naftogaz and Russia's Gazprom would be impractical. "We believe there is no need to create a joint venture to operate on the domestic market," RIA Novosti quoted Ukraine's Deputy Prime Minister Oleksandr Turchinov as saying. Russia had earlier proposed that Kiev and Moscow set up a joint venture to manage gas sales in Ukraine's domestic market. "Ukraine's national oil and gas company Naftogaz is capable of handling sales itself," Turchinov said. Russia's relations with Ukraine had been strained over Kiev's $1.5 billion debt for Russian gas deliveries, but the matter was settled in a meeting between Ukraine's President Viktor Yushchenko and his Russian counterpart Vladimir Putin on February 12. An agreement was also reached to cut out intermediaries and establish direct fuel supplies between Russia's Gazprom and Ukraine's Naftogaz. The leader of the parliamentary opposition Party of Regions, Viktor Yanukovich,has registered a draft resolution on a referendum about Ukraine’s joining the North Atlantic Treaty Organization, a spokesman at the secretariat of the Verkhovna Rada, or parliament, told ITAR-TASS on Friday. The explanatory note to the draft resolution says the referendum was needed, as “more than 15 million citizens of Ukraine are against the country’s integration in any military-political organization, in particular NATO”. A decision on Ukraine’s joining the Western alliance should be made after the nationwide referendum, the document says. The Ukrainian president, prime minister and parliament leader signed a letter to the NATO secretary-general asking for providing a plan of action for Ukraine’s accession to NATO, sparking a standoff in the parliament. The Party of Regions has been blocking its work since January 18, demanding the referendum on the membership in NATO. A WOMAN has been found guilty of manslaughter for stabbing her partner at a Dorset campsite. Ewa Katarzyna Palkowska, 41, was charged with killing Dariuz Swiader at the Clay Pigeon Caravan Park, Wardon Hill, Evershot, in October, 2006. She wept as a jury delivered its verdict of not guilty of murder but guilty for the lesser charge. Speaking from Poland after she had been informed of the verdict Magda Pritchard, the cousin of 36-year-old Mr Swiader, said: "On behalf of myself and the family I'm a bit disappointed with the verdict. But the main thing I want to make known is our sincere gratitude to all of the police who have put so much work in. "If they hadn't been involved the outcome would have been much different." Mrs Pritchard paid special tribute to the officers who had liased with the family in the case, Inspector Kevin Lansdale and Detective Constables Simon Tallick, Paul O'Rourke and Steve Richards. She added: "Simon and Kevin came to Poland and gave their condolences to my auntie (Dariusz's mother) personally. "Without them it would have been much harder to take it." Palkowska will return to court on March 3 to be sentenced. She will also hear whether she is going to be deported. The jury spent nearly three days deliberating their verdict. They had heard how there had been an argument when Palkowska was angry with Mr Swiader for failing to pay a cheque into the bank earlier in the day. They were told that Palkowska was drunk on the night in question. Before they came to a decision Judge Guy Boney stressed how this should affect the jury's verdict. He said: "A drunken intent is still an intent but there is a limit as to how far that position can be taken. "If you come to the conclusion that she had taken such a large quantity of drink that at the moment of the stabbing she was, or may have been, no longer capable of forming the intention - either to kill him or do him really serious harm - then she would not be guilty of murder. "Instead she would be guilty of manslaughter." DI Lansdale, who was the police officer in the case, said: "We accept the verdict of the court. "This has been a long and painstaking inquiry for us. "It has been very difficult as a number of the people who were involved are of Polish extraction and had gone back to Poland. "We had to go to Poland to keep in touch with the witnesses and to get them to court." He added: "We would like to reassure people that Dorset is still a safe area and this is not something that is a common occurrence. "We would like to thank the people that have come forward and helped with the investigation, particularly local people. "The family have been very impressed with the work that the police have done on the case and they wanted to get that across." DI Lansdale said that the police had worked closely with the Polish community to offer reassurance and support to those affected by the incident. He added: "The inquiry itself was painstaking - involving officers from across Dorset. There were 139 statements taken, 500 exhibits, 158 actions and 130 different people coming to the attention of the investigative team during the course of the enquiry." Mr Swiader came from a small town close to Szczecin in Poland and had lived in Weymouth for about a year and latterly at the Clay Pigeon site near Dorchester. DI Lansdale said: "The time between the incident and the trial date which commenced on January 14, 2008, at Winchester Crown Court created logistical problems with numbers of Polish witnesses moving within the UK and also returning to Poland in locating them and ensuring attendance at the trial." The inspection of the political office of former Minister of Justice Zbigniew Ziobro (Law and Justice) has allegedly proved that documents were being destroyed there on a massive scale. Journalists from the RMF FM radio managed to obtain the report from the internal inspection of the Ministry of Justice. It appears, say sources, that only in 2007, more than a half of the one thousand documents that were in Ziobro's office disappeared.. The inspectors also noticed that over a thousand documents were not recorded at all. In total, documents on over 30 cases have gone missing. The RMF FM journalists claim that the biggest number of irregularities were found at the office of Jerzy Engelking, the deputy to the Public Prosecutor. The peaceful mass action European March took place on 14 October 2007. HRC Viasna learned that on 28 December 2007 the investigations department of Pershamaiski district police department of Minsk brought a criminal case under part 2 of article 339 of the Criminal Code ‘hooligan action, performed by a group of individuals’, because two police cars were allegedly damaged by the action participants. The criminal case was brought on the basis of a report, drawn by the policeman of Pershamaiski department A.Kurachka. Maksim Siarhiyets, Liliya Subach and Matvei Bialiai are the suspects in the case. The last one is under age. The sum of the harm allegedly done by them is 8 691 879 rubles (about 4 050 US dollars). Bear in mind that these days the organizers of the action, Yauhen Afnahel, Zmitser Fedaruk, Viktar Ivashkevich, Anatol Liabedzka and Vintsuk Viachorka received the copies of the suit of the Horremautador, an enterprise of Minsk city executive committee. In the suit it is stated that cleaning of the streets after the action cost to Horremautador 2 135 974 rubles (about 1 000 US dollars), which is to be covered at the expense of the action organizers. The trial on this case will take place on 25 February at Savetski district court of Minsk. In a related story, the campaign is conducted by a group of the year-mates of the oppositionist Franak Viachorka, who has been expelled from the third year at the journalistic faculty of BSU. According to Viachorka’s information, on 21 February the distribution of leaflets with information about politically motivated expulsions from high schools started in the class rooms and student hostels. ‘It is done by my year-mates and friends, not me’, emphasized Franak. ‘The leaflets tell people not only about my case, but about expulsion of other students as well, and about the pressurization of the press-secretary of the BPF Party Katsiaryna Markouskaya, who is threatened with expulsion. Franak Viachorka also informed the BelaPAN about his intention to apply to the authorities for authorization of a picket near Minsk State Linguistic University, which has recently expelled a member of the youth wing of the BPF Party Anton Kalinouski. ‘Anton, in his turn, will apply for authorization of a picket near Belarusian State University’, Viachorka said. Both Kalinouski and Viachorka were expelled from their high schools after administrative arrest. They were detained on 16 January in the building of Tsentralny district court of Minsk, to which they came to support a youth activist Yuliya Siutsova, who was accused of petty hooliganism. Viachorka was sentenced to 15 days of jail and Kalinouski – to 10 days. 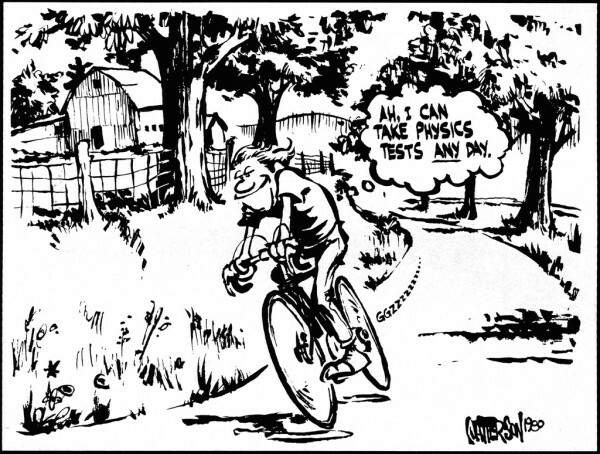 As a result both students failed to pass their exams in time, which served as a formal reason for their expulsion. Judges haven’t found in reports of the local city police department proofs of a public activist Alyaksandr Vasilyeu’s being guilty. The participant of the campaign “For Free Development of Enterprise” has won actions two times. He disclosed lies in reports not only of policemen, but of their commander as well. 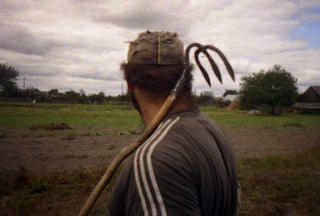 Pinsk dweller Alyaksandr Vasilyeu is 35. He has secondary education, experience of work at a construction in Russia, and in organizing a private industry, Bulletinonline writes. In his comments to the courts against Alyaksandr Vasilyeu a friend of the entrepreneur, a well-known Belarusian human rights activist Valery Shchukin noted that the victory had become possible as Alyaksandr Vasilyeu banished fear of the so-called “public justice”. “Vasilyeu has understood that policemen, most of whom graduated from a local vocational school, have no legal education. Executing orders of their commanders to persecute opposition activists, non-commissioned officers of Pinsk police make unjustifiable mistakes in reports. When one is attentive in the court, it’s possible to dispose of their charges even without a lawyer,” Valery Shchukin is convinced. The human rights activist reminds about the court in Pinsk on February 1. Judge Tatsyana Svibovich studied the report charging Alyaksandr Vasilyeu with using foul language on January 21, when a spontaneous rally of entrepreneurs was held in front of the building of the city executive office. Policemen arrived to the court and witnesses that Vasilyeu allegedly used foul language in Chyhunachnaya Street. Vasilyeu asked the judge to specify the place where a patrol car was situated at that moment. The place was marked on a map. The place of the defendant’s location was marked as well. The distance between the two points was 90 metres! The court stated: “From such a distance sitting in a car it is impossible to hear a person swearing”. On February 10 major Alyaksandr Syraezhka, the commander of the abovementioned policemen who had lost the lawsuit on February 1, continued a chase against activist Vasilyeu. “Major Syraezhka twisted my arms near the stalls of the local market. He seized my camera and dragged me to a patrol car. Vendors and customers tried to defend me, some were making pictures,” Alyaksandr Vasilyeu said. Finally Major Syraezhka imprisoned Vasilyeu into the basement of Pinsk police department for a week-end. The trial over Alyaksandr Vasilyeu took place on February 11. As there was not enough evidence of guilt, the trial was postponed. While being at large, Alyaksandr found pictures proving major Syraezhka’s arbitrary actions at the market on February 10. He printed copies of the picture, pasted them to posts looking for witnesses and asked them to come to the court. On February 18 the large court room hall of Pinks city court was filled to capacity. More than 50 individual entrepreneurs came to support their leader. Judge Mikalay Leshchanka interrogated witnesses from the both sides, and as a result terminated the administrative case against the entrepreneur on the grounds that “evidence by policemen is contradictory. Evidence of his guilt hadn’t been established”. As said by A. Vasilyeu himself, “two victories in a row is a good precedent. Now policemen have food for reflection. Variants of thoughtless accusations won’t work”. Got a letter from Brianne Lawson, who is the sister of the late Aaron Lawson, a US Marine who was killed under mysterious circumstances in Warsaw, Poland, last January. In her letter, she tells of evidence which would seem to point towards Aarons then girlfriend and her two brothers. Police however, have been either unwilling or unable to move on the case. I am printing the letter here along with some backtracking links. I am sorry that it has taken me a while to get back to you. I have been trying to pull some things together to give you a better story. Do you know of any contacts in Poland's or Warsaw's Newspaper's? I am trying to get an article printed there, but perhaps it is worthless. This is a news story about my brother from WJZ in Baltimore. Note: The original internet article is available online on the Polish Police and Administrative Corruption page (See HERE). Aaron Lawson, 28, died mysteriously in Poland eight months ago. Bruises marked the Marine reservist's head, neck, arms and legs. An Anne Arundel family is on a crusade after their son, who served as a Marine, mysteriously died overseas. Mary Bubala has reaction from family members who say he was murdered. The family says medical reports show their son was beaten to death. But nearly a year later, foreign police refuse to search for a killer. Loretta Lawson-Munsey has a heart full of steely determination--to get justice for her oldest son. "He was a good guy, and he didn't deserve this," said Lawson-Munsey. Nearly a year later, his family has virtually no answers about how Aaron died or why. Polish police have ruled his death an accident, though the medical examiner's report shows Aaron likely died from blunt trauma. "The police still won't rule it as a homicide," said Matthew Lawson, Aaron Lawson's father. "I did a horrible thing. I took pictures of my dead son with the funeral director showing me his marks because I knew someone killed my son," said Lawson-Muncey. The Lawsons have made repeated pleas to the U.S. Embassy in Poland, the Marine Corps, the FBI and Congress for help. They believe Aaron was the victim of a Polish Mafia hit possibly because he befriended a young woman who had Mafia ties and tried to help her leave. "To them Aaron was just some guy on the street that may or may not have gotten in the way of their business and to us he was so much more," said Sam White, Aaron's best friend. The circumstances surrounding Aaron Lawson's death are a source of endless pain and bitter frustration for his parents who want nothing more than justice for their oldest child. "We just want somebody to help us. We want somebody that may know anything...to help," said Lawson-Muncey. Police in Poland do not answer to the victims' families so the Lawsons are unable to communicate. They're currently working with Maryland Congressman Wayne Gilchrest to hopefully get some answers about how their son died. Police records show Aaron Lawson's bank account was drained within hours of his death. So here is what we have thus far. Please let me know if any of this makes sense. When Joanna (Aaron's girlfriend in Poland) was initially interviewed by Polish police she said she had no idea that Aaron was coming into town April 20th. She also said she spent the night at girlfriend's house the night her was murdered and had since destroyed the SIM card to her phone (after) she heard of Aaron's "death". In her interview with our lawyer back in January, she claimed that she did know Aaron was in town, (however, it seems clear) that after he was murdered, she took his ATM card out of his wallet, cleared out his account, and then put the card back in his wallet which was in his pant's pocket. When I arrived in Poland, I asked the police to pull the video tapes to the ATM that the money had been withdrawn from to verify who it made the withdrawal. Unfortunately, to open this aspect in discovery almost 8 months later would of course be of no value to us now because after a certain amount of time, the tapes are re-recorded over. Apparently the girlfriend also has one male friend and two male brothers. One of the brothers is a "security guard" which in Poland is a position better known as a murderer. Apparently this brother met Aaron and liked him but according to my brother, he only met the other brother, the one that did not work due to being mentally unstable (some sort of depression) and was therefore unable to work. I never knew of this "security guard" brother. As the story goes, Joanna worked as a stripper at the OAZA because she was just doing what she had to do to support her family. While he was alive, Joanna claimed she was pregnant by my brother. At the interrogation however, she claimed she was not. Aaron however didn't believe her at that time and thought she only wanted money. When I got to Poland, I took his SIM card out of his phone and gave it to Police to retrieve all of their phone conversations. All the police told me was that Joanna and Aaron had been arguing. That is all they will tell us as far as what their exchange was about. The last translation I have of theirs is her saying "What? Do you think it is that easy?" Referring to Aaron getting her an apartment in Warsaw so she would be safe and wouldn't to have to dance anymore. Aaron was to have been on a flight two days after his death to go to Paris to meet friends. He was then going to go to Holland to see his son. Because there was no second ticket, he obviously had no plans of taking her or sneaking her out of Poland. Probably, all he was doing was trying to help her get out of her job which she claimed she hated doing so much. Two forensic scientists have claimed that the injuries sustained by Aaron had to happen by an "aggressor(s)". The injuries are not consistent with how the police said he died, and there was a baseball bat indentation in his skull. Let me know if you want more, have questions etc. A Belarusian crew will participate in “Expedition Trophy-2008”, which will start on February 23 in Murmansk on the Kola Peninsula and will finish on March, 8 in Vladivostok at the Pacific coast. Spokesman for the Committee of the Off-Road Races of the Belarusian Automobile Federation Danila Dolmatov told BelTA that it is the greatest winter transcontinental motor competition-adventure on the planet. The route of “Expedition Tropohy-2008”, which is 16 thousand kilometers long, will cross 8 most beautiful regions - Kola peninsula, Central and Northern Russia, Volga region, Urals, Siberia, the Baikal region and the Far East. This year the Belarusian crew passed the qualifying contests. The Russian-Belarusian team consists of 6 people divided in 2 crews: one of them consists of Muscovites, the other is represented by Belarusians: Arthur Kurbakov, Anatoly Baidachny and Olga Danileiko. According to the rules of the race, there should be at least one girl in the team, but the Russians could not find any girl that could be good enough for the team. Olga Danileiko leads the only Belarusian crew in the jeep trial races. “The Belarusians hit the road driving a 1998 Mitsubishi Pajero with a diesel engine”, Danila Dolmatov noted. The 12th Belarus’ Open Sambo Championships for the Prize of the President of the Republic of Belarus opens in Minsk on February 23. Starting this season it will be on the international sambo calendar as one of the four world cups, chairman of the Belarusian Sambo Federation Vladimir Yaprintsev told a press conference in Minsk on February 22. According to Vladimir Yaprintsev, competing in the event will be around 200 athletes from 21 countries. This is a record high for open sambo championships of Belarus. Venezuela and South Korea will take part in the championships for the first time. The 12th Belarus’ Open Championships are organized by the Ministry of Sport and Tourism, National Olympic Committee, republican public association “President’s Sports Club”, Minsk City Council, Belarusian Sambo Federation and Belarusian physical culture and sports society “Dynamo”. Press freedom in Europe’s last dictatorship, whose president was re-elected in 2006 with over 82% of the vote in an election dubbed fraudulent by all observers, did not improve in 2007. Official pressure on the media continued and the Internet came under greater scrutiny. The UN Human Rights Council decided in May not to renew the mandate of the UN special rapporteur for Belarus, even though Belarus had not been elected to the council because of its appalling human rights record. The free press has virtually disappeared and been forced underground. Printing and distribution of newspapers is done by state-controlled firms that have a monopoly. The national post office, Belpochta, has a monopoly on distribution of newspapers to subscribers and can strike a dissident paper off its list at any time. The regime firmly rejects the demands of civil society groups, especially when they challenge the legality of its decisions. Parliament’s human rights and media committee in August turned down a request from the Belarusian Association of Journalists (BAJ) to review article 10 of the press law to see if it conformed to articles 33 and 34 of the national constitution. Article 10 obliges media outlets to register with the authorities, who have used the provision in recent years to block the registration and thus operation of dissident media outlets. Two years of harassment of the independent twice-weekly paper Vitebsky Kourier increased in January 2007, with bureaucratic efforts to shut it down for not printing the address of its offices on the front page. The paper and its staff have been evicted from their offices several times since October 2006, putting them in technical violation of the press law. Such administrative harassment is common and one of the country’s oldest weeklies, Nasha Niva, had the lease on its premises broken off for a fifth time under government pressure after the secret police visited the landlord. This absurd situation has been going on since April 2006. Journalists who work for foreign media, especially those in neighbouring Poland, were targeted by the regime. Ihar Bantsar, editor of the Polish-language monthly Polski na uchodzstwie, was sentenced to 10 days in prison in March for “insults.” The paper’s editor, Andrey Pochobut, has been arrested many times in recent years. The Moscow correspondent of the Polish daily Gazeta Wyborcza,Waclaw Radziwonowicz, was arrested on a train to Russia in July in Brest, on the Polish-Belarusian border. Customs officials detained him for five hours and then sent him on a train back to Warsaw without explanation. Radziwonowicz is a former correspondent in Belarus and is said to have been put on a black list in 2006 after writing articles sharply criticising President Alexander Lukashenko and his entourage. Opposition activists of the Youth Front were arrested in Baranovichi on 10 September as they demonstrated against the trial of a Front member. Journalists covering the protest, including photographers from Agence France-Presse and Reuters, were held for several hours. A journalist with Nasha Niva, Arseny Pakhomaw, was detained for seven hours and then charged with “hooliganism.” Ivan Roman, of the Polish station Radio Racyja, and Polski na uchodzstwie editor Bantsar, were ordered jailed before a demonstration planned for 14 October. Plainclothes police picked Roman up at his home and he was accused of making “insulting remarks.” The media was barred from his trial on 10 October. Barys Haretski, of Nasha Niva and Radio Racyja, was sentenced to a week in prison on 11 December for taking part in an unauthorised demonstration. Earlier in the year, Bantsar, Pochobut and Aliaksey Saley (of Polski na uchodzstwie), Andrey Dynko (Nasha Niva), Andrey Pisalnik, former editor of the paper Glos znad Niemna, and Andrei Shantorovich, former editor of the weekly Mestnaya Gazeta, were also punished for similar offences. The regime, determined to block any independent news, turned its attention to the Internet in 2007. Surveillance of Internet cafés was stepped up in February and the government ordered their owners and also the managers of computer clubs to report when users visited banned websites. They must also keep a record of all customer traffic for a year, supposedly to fight cyber-crime but in fact as a way to narrow this last window of freedom. The regime controls access to the Internet through the monopoly of the national telecoms firm Beltelkom but cybercafés had been the only place where Belarusians could post their opinions without risking arrest. President Lukashenko said during a visit to the offices of the state-owned daily Sovietskaïa Bieloroussiya on 2 August that he would “put an end to the anarchy” online and would “not allow humanity’s great technical achievement to become a news sewer.” Deputy information minister Alyaksandr Slabadchuk announced a few weeks later the setting up of a working group to improve “legal regulation of the Internet.” He approvingly mentioned China, which is very good at cracking down on cyber-dissidents.